H & H Cladding Limited - Builder, Fascia/Soffits/Guttering, Windows/Doors/Conservatories based in Basildon, Essex. 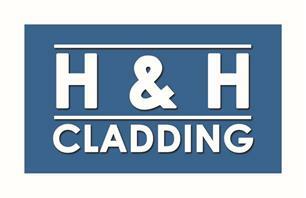 Welcome to H&H Cladding, we are the complete peace of mind to your Homes Improvement needs. We are fully insured, All work is guaranteed and our specialised team of installers are not sub contracted. We have 38 Years of Experience and counting. That's a formidable key to our unique, versatile consistent way of professional business that keeps our name strong and you our clients recommending. We install Fascias, Soffits, Guttering, Weatherboard. In UPVC or Wooden Timbers. We also re Felt your leaking Roofs and offer a fantastic UPVC cleaning service bringing your home sparkling and squeaky clean again.